I’m in the end run of raising four children. They’re wonderful kids, and I love them dearly. Even so, parenting is hard. We’re dealing with little lives–individuals with sin natures, and we’re coping with our own selfish hearts at the same time. Scripture should be our guide when it comes to parenting. It’s where we find the answers to loving our children as ourselves, and to correcting their foolish choices. Scripture is where we point our kids, because it’s in the written Word of God that our children will find the Living Word of God, Jesus Christ. And yet, the Lord set up a system of mentorship to help us live out Scripture in our homes–in our parenting and in our marriages. I enjoy reading Christian parenting books because, for me, they are like having tea with a good friend. I gain a new perspective and encouragement and I return to my work as a mom refreshed. Sometimes just a few minutes of reading can help me solve a problem, or help me get my head on right so I can go back to the important task of raising my children with a new vigor. Books can provide a unique form of mentorship. I hope Thinking Kids also is a form of encouragement in the Titus 2 tradition as well. We grow in strength together as a community of parents seeking Christ in our relationships with our children. Jay Payleitner is a father of five and an author and speaker on parenting. He and his wife have also fostered ten children. Mr. Payleitner’s new book, Quick Tips for Busy Families: Sneaky Strategies for Raising Great Kids, is an encouraging read. 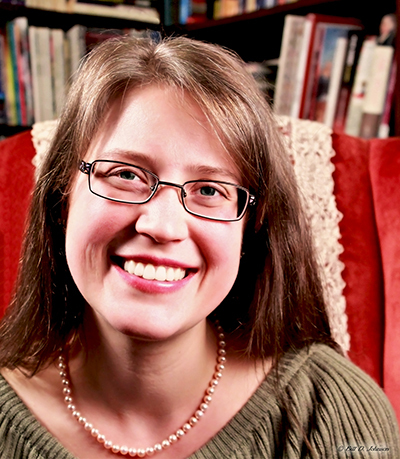 The book shares 144 tips for parents in a conversational voice. 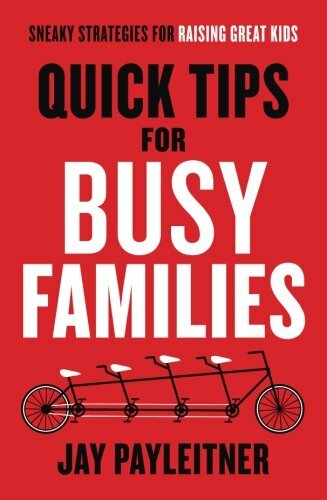 I want to thank Bethany House for providing a copy of Quick Tips for Busy Families in return for my honest opinion. Some of Mr. Payleitner’s tips are unique and fun ideas, like “Candy Land Penance”–a way of helping children get along, and “Personalized Pancakes”. Other tips offer advice on issues common to all parents, like “Be the Bad Guy” and “Open-Door Policy”. Still more of Payleitner’s tips take a more serious tone, offering guidance on parenting issues both practical and spiritual. The book is 233 pages, but the tips each begin on a new page, so there’s a lot of white space. That made for a quick, interesting read. The topics vary widely, and even after raising four kids (with numbers 3 and 4 still at home), many were ideas I hadn’t heard before. Some of the ideas were things we probably won’t implement as we homeschool and we don’t have traditional office jobs, but I still found each idea thought-provoking. If you’re looking for some new Christian parenting tips, along with encouragement, Quick Tips for Busy Families may fit the bill. I know I enjoyed it.